There’s nothing like an iconic North Woods cabin vacation to bring a family together. 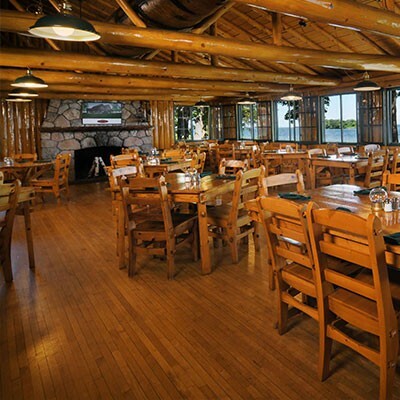 Located on Leech Lake, southeast of Bemidji, Trapper’s Landing Lodge has 13 multi-bedroom cabins and townhomes – plenty of room for a family reunion group to spread out and enjoy all that lodge living has to offer. 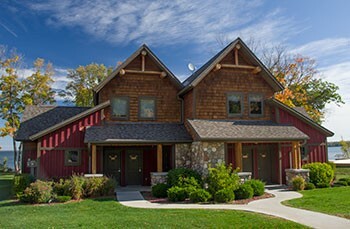 Trapper’s Landing Lodge is 3 hours and 45 minutes from the Twin Cities. Snuggled in on the south shore of Leech Lake, Minnesota’s third largest, Trapper’s Landing Lodge is famous for its fishing and camp activities. Our staff prides themselves on having knowledgeable guides, great gear at their marina and for teaching hundreds of children how to fish every summer. You could fill an album with snapshots of the little ones getting up on SUPs, grandpa fishing for that big Muskie, and all the family around the bonfire telling stories about their day at the lake. There are three accommodation styles at Trapper’s Landing. 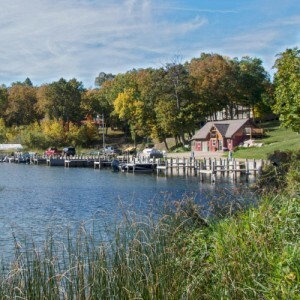 There are modern off-lake Hudson Bay Cabins with choice of 2 or 3 bedrooms and 3-bedroom lakeside townhomes with 1 and 2-bedroom lock-out suites with every convenience and luxury from whirlpools to fireplaces. Or select our completely renovated vintage Merit cabins or newly build Timberlane cabins with 3 bedrooms, view of the harbor & washer/dryer combo. We also have dog friendly units! 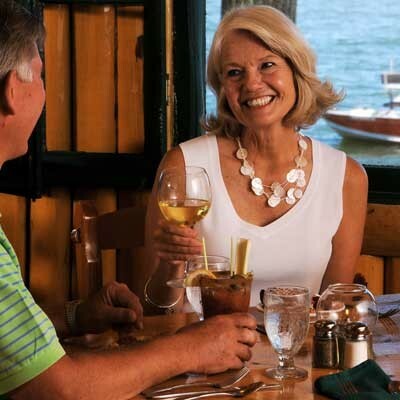 The heart of Trapper’s Landing is The Merit Lakeside Dining & Cocktails. The restaurant is open all day, every day from Memorial weekend through Labor Day and will even take your lake catch and make dinner for you. Ask about having your special family reunion events catered. Trapper’s Landing Lodge can offer an exquisite on-lake lodge takeover, or a variety of outdoor spaces. We’re always happy to think creatively and meet each family’s needs for indoor and outdoor recreation and gathering space needs.